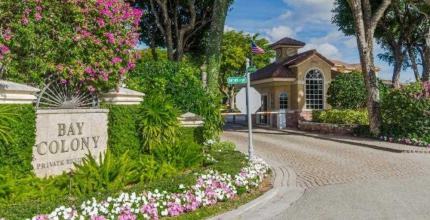 From Colee Hammock to Victoria Park, stunning real estate litters the coast of Fort Lauderdale. No longer the least flashy city in Miami, the area has undergone a renaissance, now boasting some of the most luxurious Fort Lauderdale homes amidst world-class eateries, shopping venues, and vibrant entertainment spots. It’s home to many upcoming tech companies, it's the boating capital of Florida, and without a doubt, a paradise home for beach lovers. From sunrise to sundown and even late into the night, people living in the city can experience life at its fullest; socializing and creating cherishable moments. Whether you want to sunbathe or relax in the hushed tropical breeze under a palm tree, there are plenty of options to choose from. The city’s beaches are renowned as some of the best in the world. Enjoy the sunrise at Pompano Beach just north of Fort Lauderdale or stop by Lauderdale-By-The-Sea, a charming beach town where sun seekers gather together for an unforgettable experience. The possibilities are simply endless with Fort Lauderdale real estate. From the famous nightclubs and bars in South Beach to the ecologically fascinating Everglades and the adrenaline-pumping rides at the Orlando theme parks, investing in homes for sale in Fort Lauderdale means that your next vacation is right next door – and, you hardly have to worry about the weather. Travel from Fort Lauderdale Executive Airport, Hollywood International, or go for a longer drive from the Miami International Airport for your next overseas adventure. Or, start an adventure from Port Everglades, the largest ship terminal in the area. The city is a convenient location for individuals who want to explore the world. Fast and reliable transportation makes it easy for people to commute from Fort Lauderdale homes, by air or water. There are plenty modes of transportation available for residents to choose from. Rightfully labeled as the “Venice of America,” the city is riddled with over miles of waterways canals making it somewhat of a large parking lot for water taxis. In fact, it’s one of the few places in the world that you can hop on board a water taxi for a refreshing journey. Travelling has never been easier, and, there’s no rule that you have to go overseas for a vacation. While many cities in the United States shiver through long winter period, the lucky few in Fort Lauderdale can always kick back on the beach with a piña colada in hand. Flip-flops and short shorts are the preferred uniforms among residents 365 days a year. 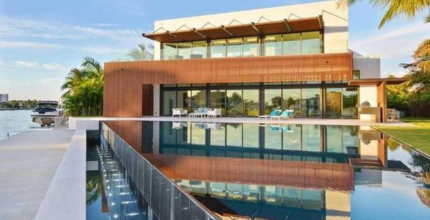 Outdoors the residential venues and beautiful landscapes flourish in the tropical climate, beautifying the exterior of the houses, especially alongside the water features. Surely with its warm days, recreational opportunities, and diverse residential selections, Fort Lauderdale is one of the best places to live, work and play. Houses for sale in Fort Lauderdale offer excellent accommodations for people seeking high-end residences. Besides great weather and stunning beaches, homes for rent in Fort Lauderdale give you first class access to a truly cosmopolitan environment, unlimited transportation options, entertainment spots, and education and job opportunities. With one of the largest fully accredited school systems in America, residents can gain access to high-quality education; from elementary straight up to university. Keiser University, Broward College, The Art Institute of Fort Lauderdale, and Nova Southeastern University are some of the accredited tertiary institutions where students who want to study close to home flock. Amidst the educational facilities, there is a perfect balance of “hand out spots.” Go for an evening stroll and enjoy a meal outdoor at Las Olas Boulevard, a famous vacation spot where tourists from around the world gather at clubs, bar, art galleries, boutiques and shopping destinations to have a good time. Fort Lauderdale homes give residents access to an abundance of shopping options, don’t be surprised if you find it difficult to hold onto your paycheck every month. One popular spot in the metro area where visitors and tourists alike like to visit is the Galleria Mall. Not only does it host some of the most stylish boutiques but it also offers convenient access to a great selection of entertainment and dining options. Stop by with the entire family – there something for everyone to enjoy. Fort Lauderdale homes offer pleasurable living experiences for everyone. You’ll find a diverse selection of residential properties, from high-rise buildings with one, two, and three bedroom units, to penthouses and stunning ocean front properties, all boasting amenities to relax and refresh the mind. Beachfront houses are ideal for those of you with an immaculate taste for the finer things in life, while high-rise condominiums provide affordable housing for young couples – or simply go with what floats your boat. There is a wonderful selection of homes, so you are bound to find one that fits your lifestyle. Whether you opt for a condo on the lake or a single-family house, the chances are that you will be able to "enjoy the finer things in life.” Spend the day relaxing in a swimming pool or spa, or enjoy dining under the sun by the pool or oceanfront. These are just a few of the luxuries that come with owning Fort Lauderdale real estate. Available houses display equally stunning architecture and incredible interior design; it’s a feast for the eyes. They are designed with relaxation and comfort in mind and boast a combination of contemporary designs for a more unique personality. By investing in Fort Lauderdale real estate, you can enjoy all the wonders the city has to offer right at your fingertips! There simply aren’t a lot of places to call home that features such charming personality and unrivaled natural beauty. You don’t want to miss out. 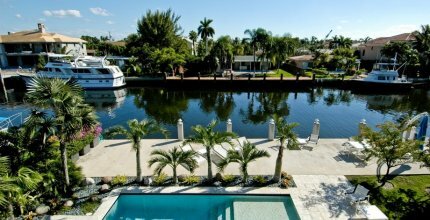 Take some time to browse out listing for a diverse selection of Houses for sale in Fort Lauderdale. We’re here to make the process of acquiring your dream home in Fort Lauderdale, as simple and effortless as possible.